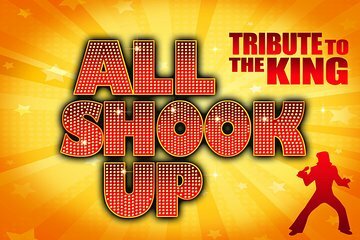 Sing and dance to your favorite hits by the The King at "All Shook Up." Don't miss this dynamic 60-minute tribute to Elvis Presley performed at the Planet Hollywood Resort and Casino in the Las Vegas Strip. Follow one-of-a-kind Elvis moves to tunes such as "Hound Dog" by the best-selling solo artist in the history of recorded music. Select general admission or upgrade for VIP seating. This spot-on impersonator is backed by a live band in an intimate theater.  Upgrade to the VIP seating for unbeatable photo ops and hip-swinging action from the front row. This was an amazing performance. The band was terrific. Elvis was wonderful, friendly, and really engaged the audience. I would go to this show again. At first we thought that this was not going to be up to much, however once the show started we soon changed our minds. The mannerisms and characterisation were excellent. The band was tight and performed brilliantly. Our daughter was over the moon when he came off stage to shake hands and called her princess. In addition the show mc put on a great half time act and filled in the interval very well. If you like the King or rock and roll go see this one. 2nd year in a row been to this show and will go to it again when we go back to Vegas. If your a fan of Elvis you will enjoy this show. 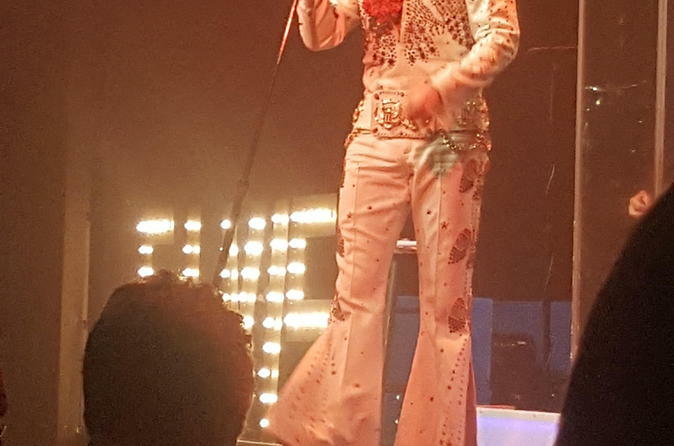 Took a friend to this show who is a huge fan of Elvis and he said that it was fantastic and he lives in VEGAS. Its obvious this performer has spent countless hours studying Elvis's moves and voice. Looking forward to our next Vegas trip. This was without a doubt the best Elvis, apart from the real thing that we have ever seen. It was a great night of entertainment and can only recommend the show. Thought it might be a bit cheesy.....it was, but it was GREAT ! A great show, singer and the compere were both very good. Theatre is only a small venue so no need to bother upgrading seats. A good show the guy playing Elvis was excellent. There was some comedy from the compère too and I cannot criticise the entertainment or the value. Overall though - having seen 3 other music shows - this was the least spectacular.